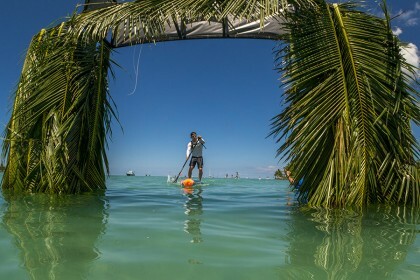 The second day of SUP Surfing competition at the 2016 Fiji ISA World SUP and Paddleboard Championship set the stage for a historic final day of competition to run on Saturday, November 19, the first ISA SUP Surfing Final ever to be held in Fiji. 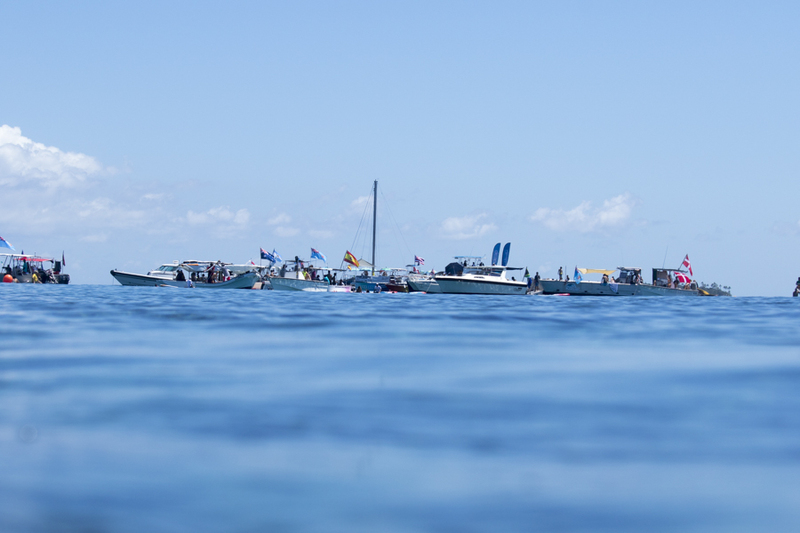 The elimination Repechage Rounds ran on Monday, narrowing the field of competitors who are looking ahead to a highly anticipated swell that is predicted to arrive with force for the Finals at the end of the week. 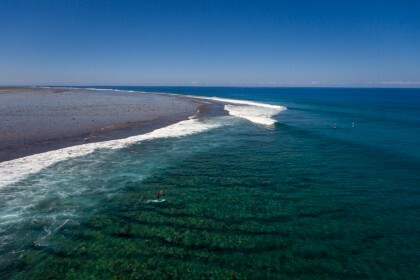 Monday morning kicked off with continued glassy conditions in a declining swell at Fiji’s world-renowned left hander, Cloudbreak. 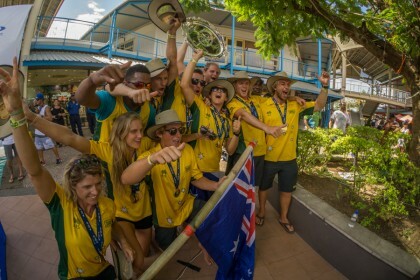 Men’s and Women’s Repechage took to the water as the international field of competitors faced off to keep their dreams of winning the Gold Medal alive. In the Women’s Repechage Rounds, Australia’s Shakira Westdorp got back on track after an unexpected exit from the Main Event on Sunday, marking the highest heat total for the women on the day with 10.83. 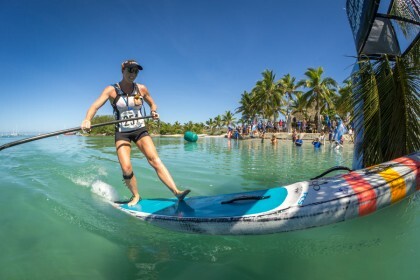 Westdorp, a 5-time ISA Medalist in SUP Surfing and Technical Race, spoke about the meaning of holding an international SUP event of this scale in Fiji. 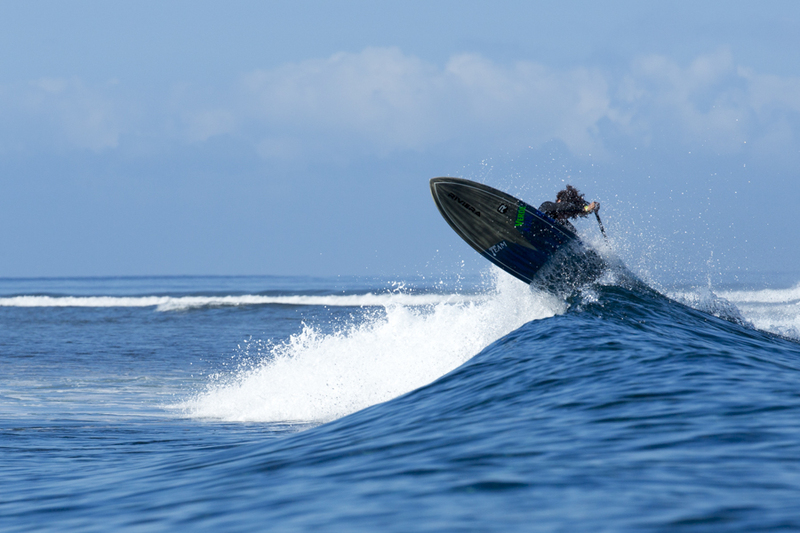 “Cloudbreak is one of the best waves in the world and it’s a huge step forward for the growth of SUP. 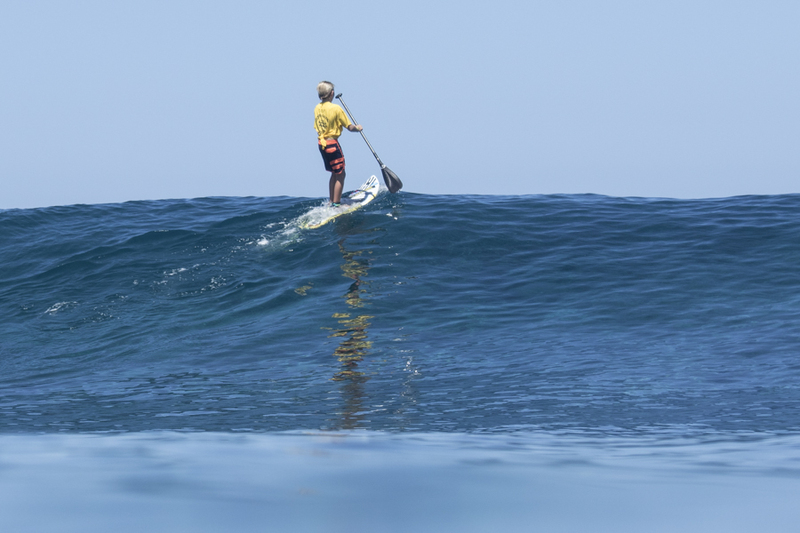 This event allows the world’s best SUP surfers to have the opportunity to surf in these amazing waves. In the following Repechage heat, Spain’s Iballa Ruano put on a gutsy performance and advanced through the day with a brace on her knee after taking a nasty fall on the reef the previous day. Unfortunately, Iballa’s run came to an end in Repechage Round 4 where she was overcome by Brazil’s Nicole Pacelli and France’s Carolina Angibaud. On the Men’s side of the Repechage Rounds, France’s Jeremy Massiere was the stand out performer, earning the highest male heat total of 14.38. 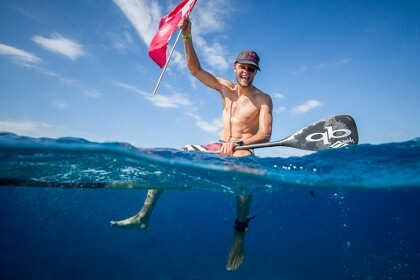 Massiere battled through two rounds of Repechage to survive to surf on the epic final day. The Women’s Main Event followed, where the Main Event Semifinalists were decided. Japan’s Yuka Horikoshi, USA’s Izzi Gomez, Tahiti’s Karelle Popkke, and Peru’s Brissa Malaga finished in the top two positions and advanced one step closer to the Grand Final. 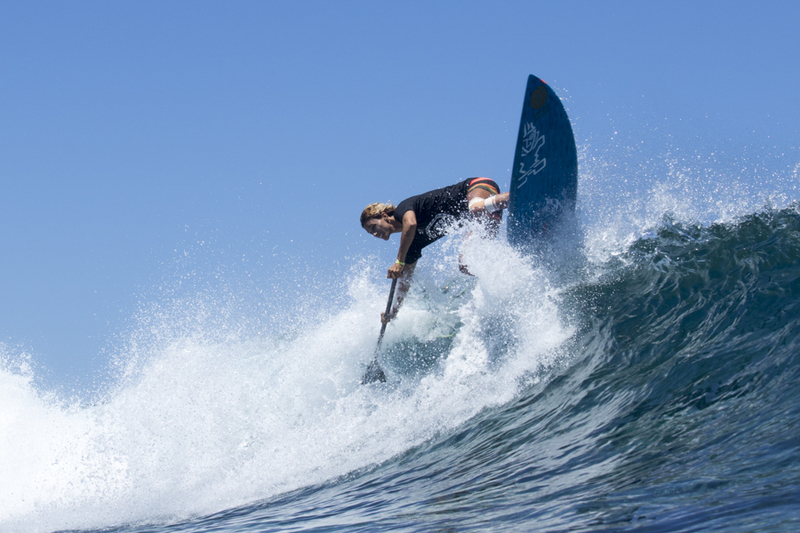 Coach of Team Hawaii, Matty Schweitzer, spoke about the historic nature of this event in the SUP community. Towards the end of the day of competition, 13-year-old Finn Spencer from Canada was matched up against his 15-year-old brother, Jeffrey Spencer. In the tricky afternoon conditions, Finn was able to take down his older brother, who he admitted usually gets the better of him, and advance onto the next round of the Repechage.